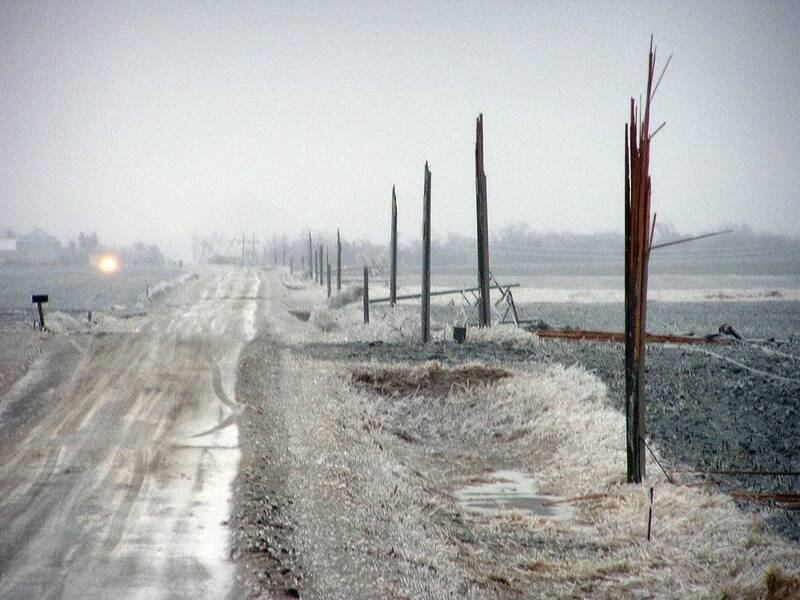 Listen Mark Steil reports on weather conditions in SE Minn.
Power poles snapped, cars and trucks slid off the highway and Minnesotans dusted off their boots and parkas again as a spring snow and ice storm slammed the region today. 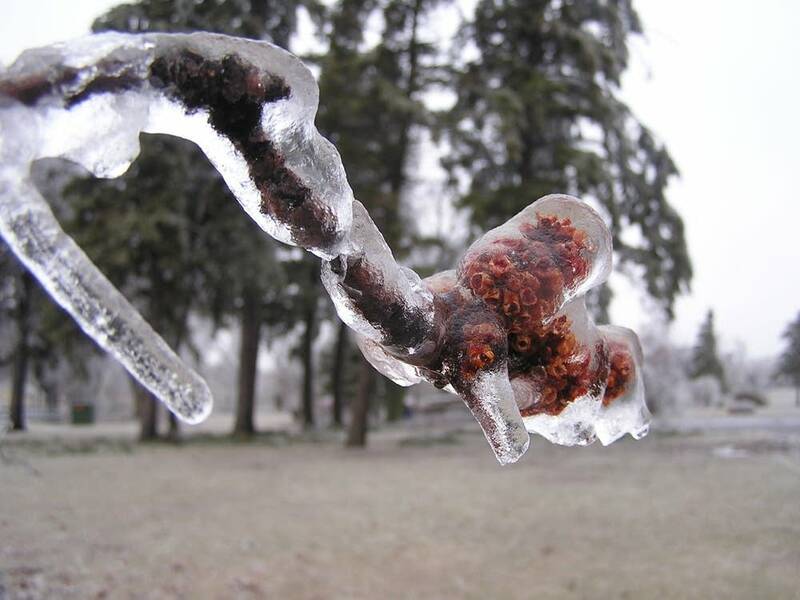 The storm moving northeast hit southwestern Minnesota first on Wednesday, leaving behind more than an inch of ice in places and at least six inches of snow. 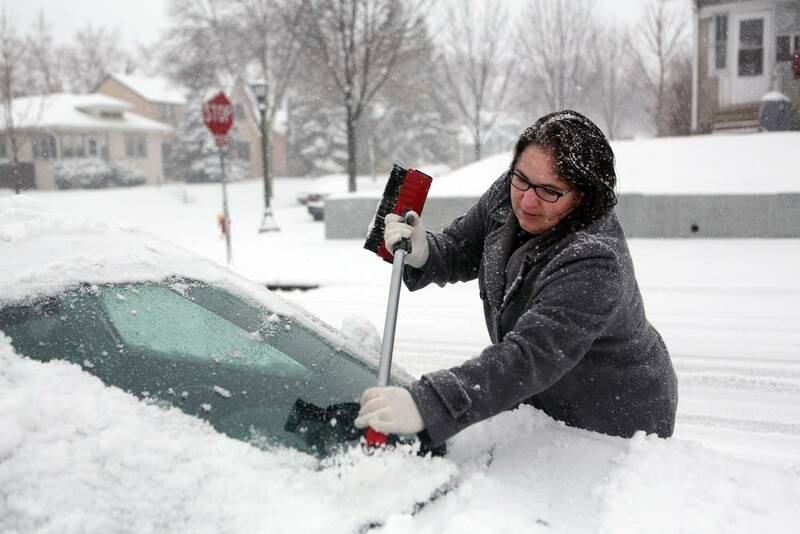 By Thursday afternoon, it had moved northeast and was hammering areas including Duluth and St. Cloud. Governor Mark Dayton declared a state of emergency in southern Minnesota Thursday afternoon. The order exempts motor carriers carrying relief supplies from regulations determining how long they can drive before they must take time off. The good news for the Twin Cities was that afternoon rush hour was expected to be much better than the morning commute. "Our crews were able to get out and do a pretty good job this morning after the rush hour and quite frankly, weather is helping us too," MnDOT spokesman Kevin Gutknecht said. "The temperatures are such that things are going to melt a little bit and it kept things from freezing to the roadway because the roadways are warm. So folks should certainly as always take their time. It's going to be sloppy, lot of stuff flying around in the air, but the road surface should be good." 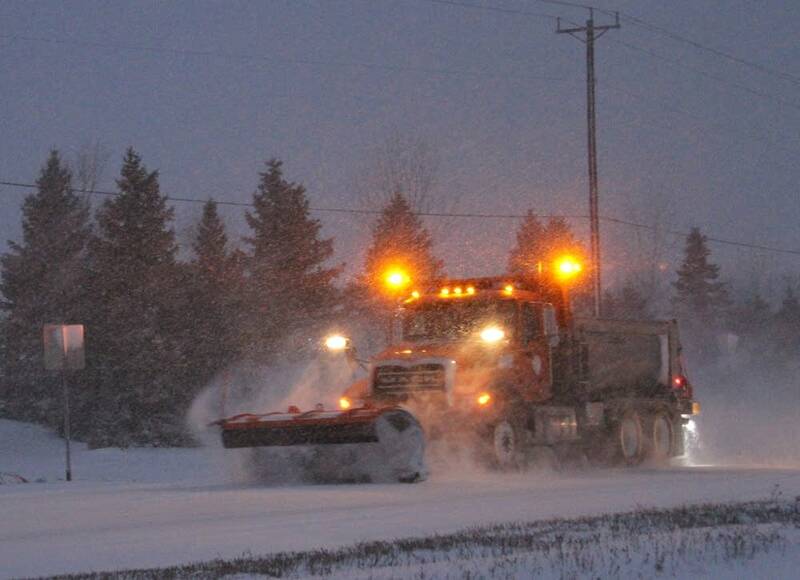 MnDOT travel conditions were still listed as dangerous near St. Cloud. "We recommend anyone traveling in those regions to allow extra time, decrease speeds and expect some icy and slippery conditions as this storm continues," State Patrol Lt. Eric Roeske said. 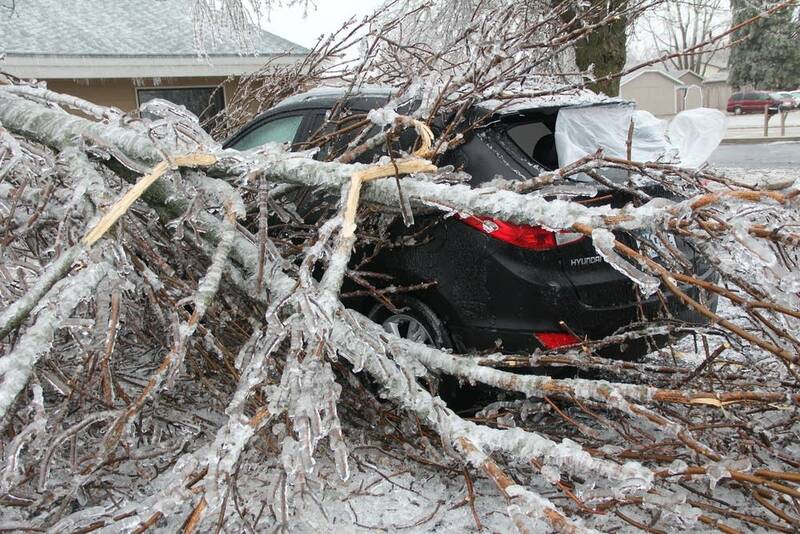 The storm hit southwestern Minnesota the hardest, starting on Wednesday with ice, which brought down tree branches and power lines outside of Worthington, affecting the companies that supply power to the city. Worthington Public Utilities was forced to use backup generators for a second day to give sections of the city intermittent power. The backup generators can only supply power to about 2/3 of the city at a time. State officials were assisting Nobles and Rock counties in the southwestern corner of the state, and emergency shelters were being set up just in case. Broken tree limbs were everywhere in Worthington. Between noon Tuesday and noon Thursday, the Minnesota State Patrol responded to 415 crashes. 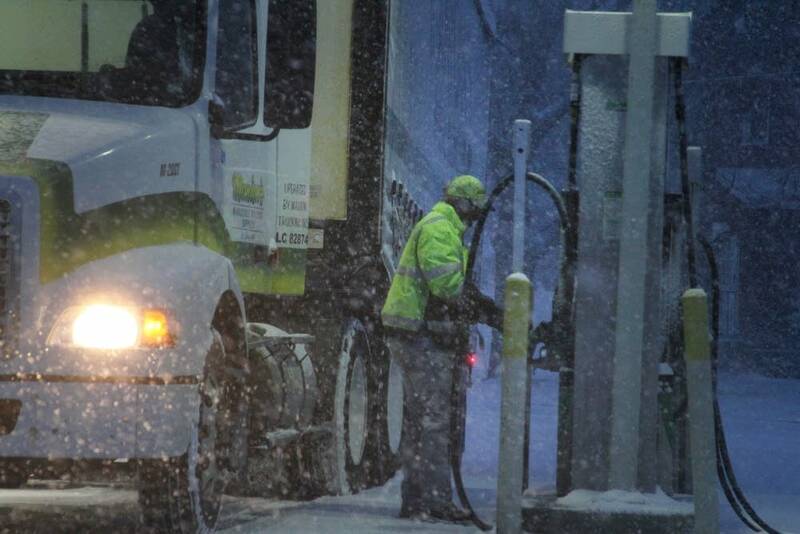 Authorities reported 475 spinouts and vehicles off the road and 10 jackknifed semis. There were 56 injures were reported. State Patrol reported via Twitter that on Thursday between 5:00 a.m. to 4:00 p.m., 440 cars slid off the road or spun out. State troopers handled 296 crashes and 39 involved injuries, though no serious injuries or deaths were reported. Despite the numerous incidents, there were no serious injuries or fatalities, the State Patrol said. Crews at the Minneapolis-St. Paul International Airport struggled Thursday morning to keep runways clear and were only using the two parallel runways. By Thursday afternoon, officials reopened a third runway after snow had tapered off, said spokesman Patrick Hogan. "We're looking pretty good for the most part right now," he said. A few delays were still being reported at MSP, so Hogan advised anyone traveling today to check flights before heading to the airport. St. Cloud Mayor Dave Kleis was one of hundreds of travelers planning to get out of MSP. Kleis, who was on his way to Pittsburgh to see St. Cloud State Huskies make its first-ever NCAA Frozen Four appearance, said plows were out in his city. "It's April, so we're not normally having crews out this time of year, but we've had them out all winter," he said. "It's Minnesota." In the Twin Cities, more than half of buses were running late at one point during the morning rush, and light rail service was suspended after ice accumulating on the power lines caused a couple trains to stall. Light rail service was back up in running by mid-morning. 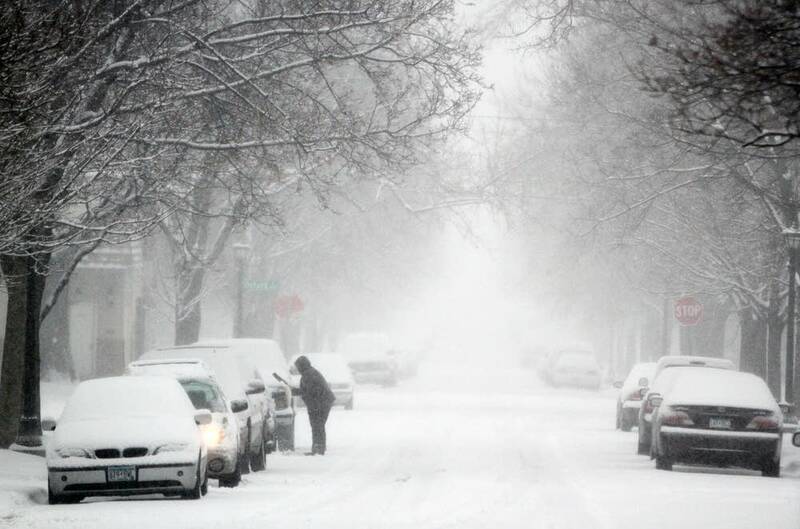 Snow totals for the metro were expected to be in the range of 4 to 6 inches by Friday; St. Cloud and Duluth were expected to get more. 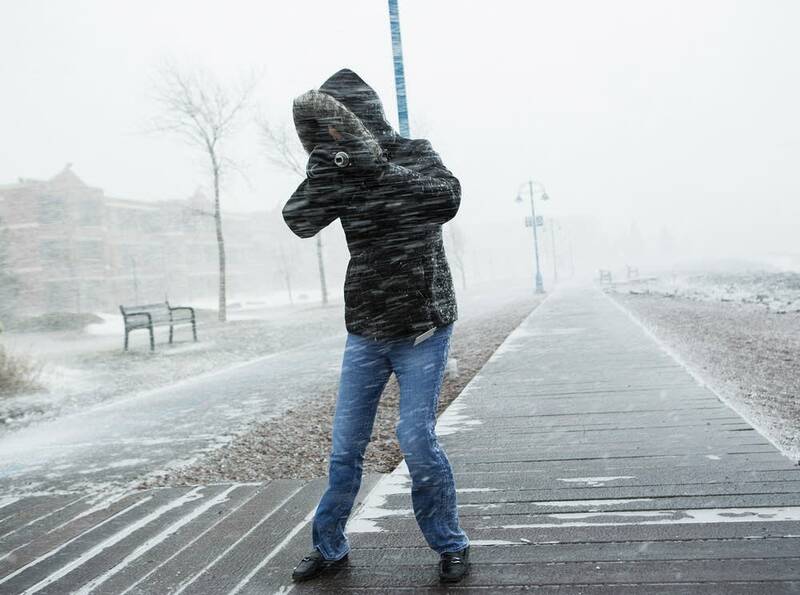 In Duluth, heavy fast-falling snow and high winds of 25 to 30 mph, with gusts of 40 to 45 mph, caused poor visibility and hazardous driving conditions. Duluth recorded 60 mph winds at one point, causing about 2,000 customers in Duluth to lose power. Service has now mostly been restored. Most surrounding areas had received 3 to 5 inches. Some areas to the west in Crow Wing County received 7 inches. The city's main shopping mall closed down, and college classes were canceled. Duluth schools were on spring break. Sasha Aslanian was a metro reporter for MPR News from 2008-2015 and is now a correspondent for American RadioWorks, the national documentary unit of American Public Media.